Create an experience that your customers will not forget with custom gift cards and loyalty cards. These marketing tools are the perfect incentive to get your customers to interact with your brand and return to your store. Add magnetic stripes, barcodes or other custom features to your cards to track buying behavior or just add a little flare. Your plastic cards will be uniquely designed to showcase your company image and optimized to work with your point of sale system. 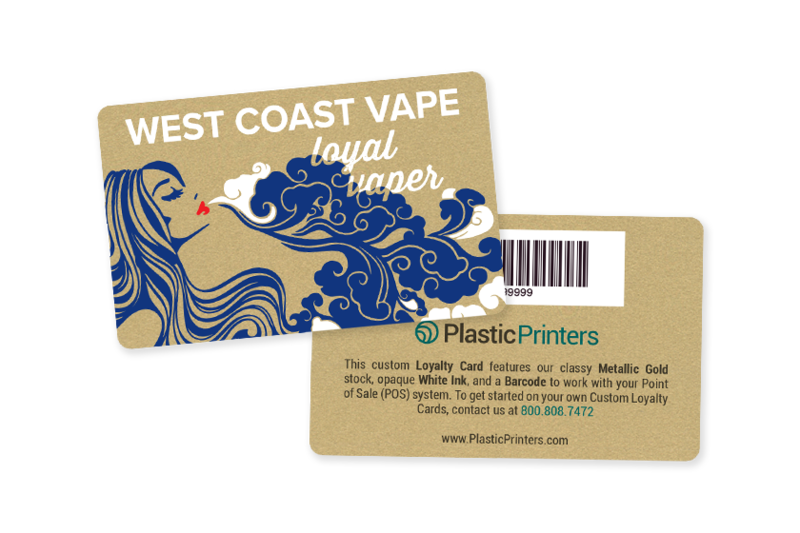 Choose from business cards, membership cards, key tags and more. Want a plastic card as creative as you are? We can help. 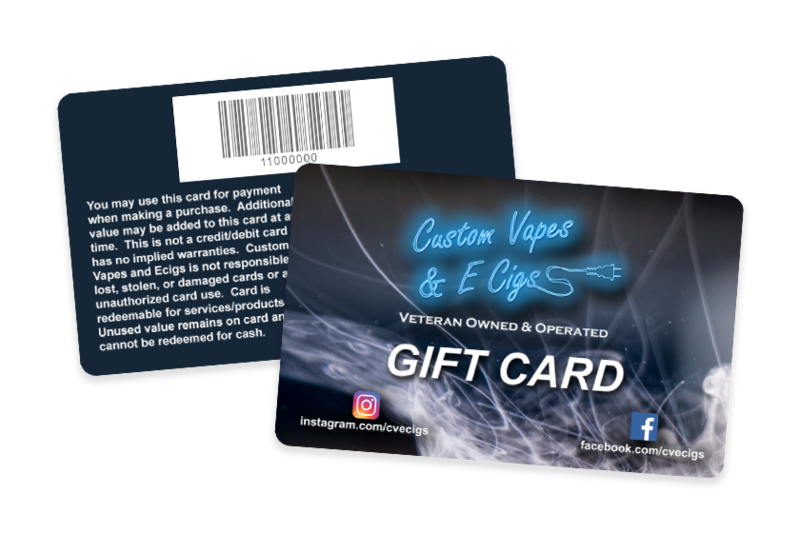 Hundreds of vape retailers have selected us to help them create a unique card to promote their vape store. Let's talk about what we can do for you!